The ghosts of the past speak to all those that will listen. In the Bayou Pigeon book, on page 481, in writing about the Berthelot family, I made mention of the fact, that I made my first trip to the La Montange with Mr. Dudley Berthelot. At the time, I did that to make a point of my personal connection to the Berthelot family. In hindsight, I realize, I failed to recognize and include in some way in another part of the book an important piece of Bayou Pigeon. That is... The Montange, itself! La Montange is Cajun French for ‘The Mountain” (English), The Montange is a high mound area that looks completely out of place in the swamp. It looks out of place because it is a high ridge (i.e., a Mountain) at least Elevation 5 ft above the floor of the surrounding swamp. 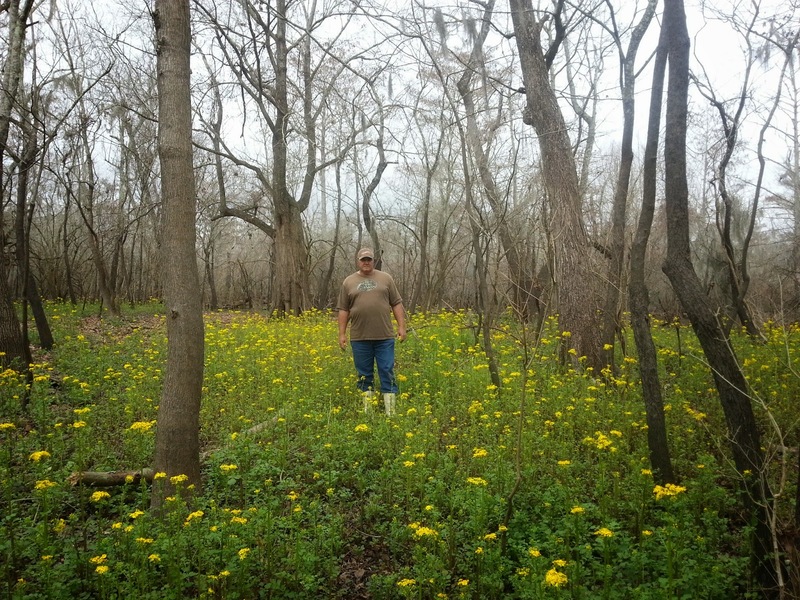 It is surrounded by cypress / tupelo swamp. The Montange is located a distance off Big Bayou Pigeon, near Bayou Mallet, a stream in the Bayou Pigeon / Grand lake Vector. La Montange, is located in T 12 S R 11 E, Sec. 2. This site is isolated and very difficult to get to in low water. Its location is known mostly by only a few Bayou Pigeon folks, and mostly over the age of 55. The Montange has always been considered as a secret hunting spot by the locals. Because of its remoteness, difficulty to find and low water access it keeps all the ‘sports’ away. After that first visit to the Montange, I never had the occasion to go back to the Montange, in low water. However, over the years my friends Anderson (Gut) Hebert and Johnny Johnson and I rode over it a few times in our crawfish skiffs (during the high water season) scouting places to put out crawfish traps. Johnny would always say, “That’s a real Indian mound, Chachie, once I found a real jawbone there”. I would typically reply something to the effect, “oh really” with Tongue firmly in cheek. As I get older, I have convinced Johnny and Gut that we need to ensure that our sons know of our / these secret spots otherwise all the knowledge we have learned will be lost to history. The Montange is one of these things. So, after some persuasion, I finally talked Gut into making a trip to the Montange in Low water, where we could really see it. We would borrow Darryl Berthelot’s, low water surface drive type boat and go get some pictures. After all, it had been over 40 years since I had been there in low water. No kidding, it really is hard to get there in low water. Over the course of researching the Bayou Pigeon book, I discovered the writings of Mr. Jim Delahoussaye of Butte Larose, LA. 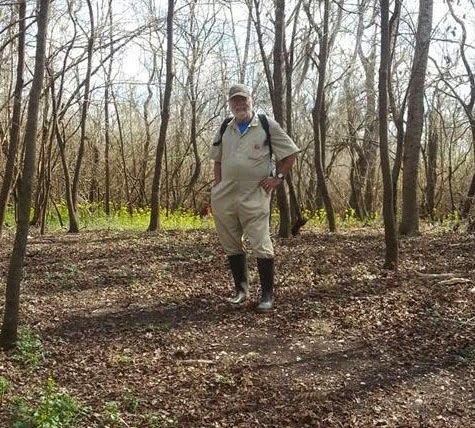 He is a retired Water Solutions Biologist and he describes himself as a Naturalist. After reading some of his work on his blog, River Logue I quickly realized this was a man that knew stuff about the basin. 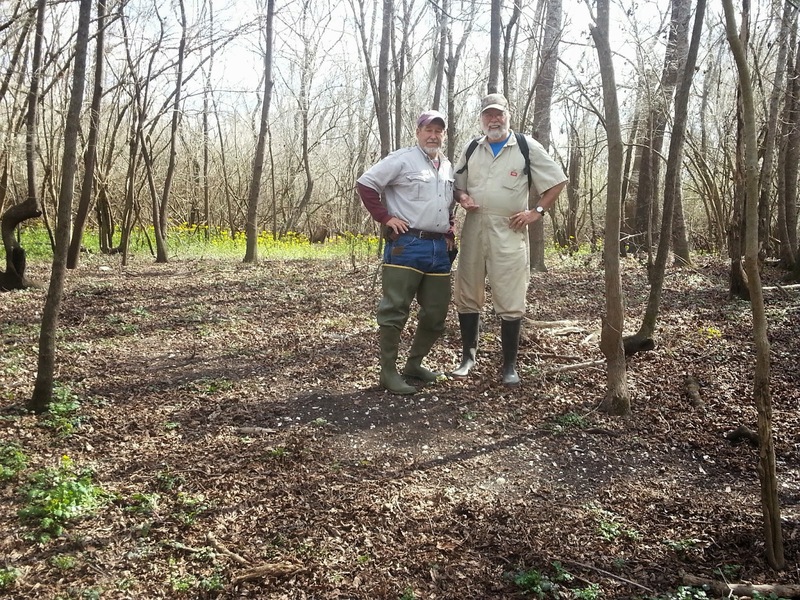 I was impressed with Jim’s knowledge of the Atchafalaya Basin history, culture, folk life, fauna and critters. So on a whim, I invited / asked him via e mail, if he wanted to come with me to the Montange. I explained it was high mound area and my friends said it was an Indian mound, but it was a secret spot and I just wanted to go there one more time. To my surprise he said yes. Well that was just the first of my surprises. Anyway, I sent him a screen shot from Goggle Earth Satellite imagery showing the approximate location and we set a date for the trip. 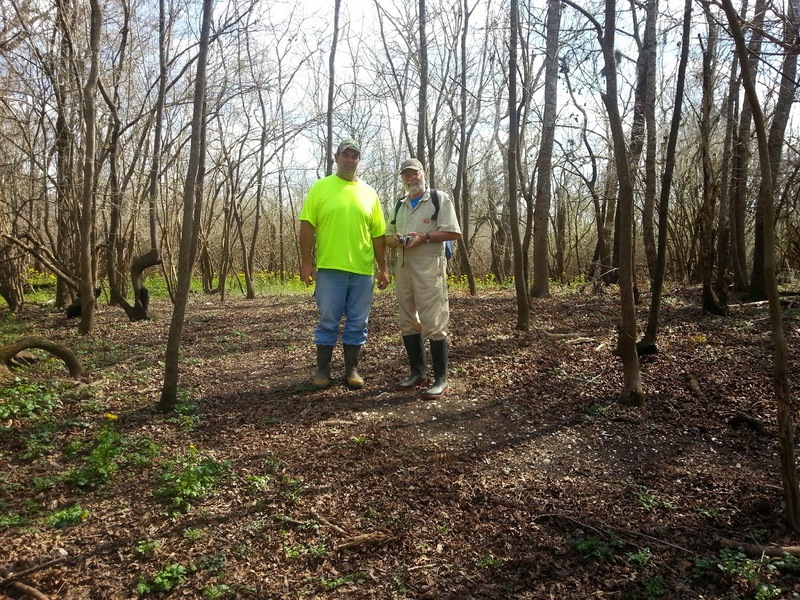 Jim met me and my friends at the Bayou Pigeon Boat launch, on 2-14-2014. He came in hand with some official research information about the site from Louisiana Archaeological records. I was stunned; you mean this site is officially listed as an Indian mound? Yes, the Montange is officially recorded as State archaeological site16IB8. Can you believe it? 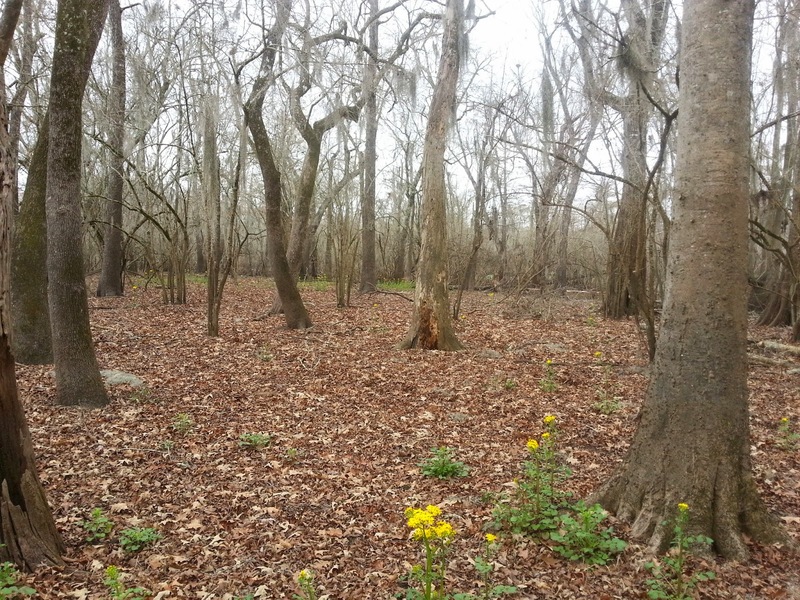 Real life Native American sites / mounds at Bayou Pigeon. After we completed the trip, I was rejuvenated on learning more about the Indian Mounds in The Atchafalaya, (It turns out Johnny Johnson was more right than I thought). I went back and read again a lot of the reference information I had archived from writing the book. Listed below is what I learned. At the time of this writing I have found out there are 71 recorded archaeological sites in the Atchafalaya Basin Floodway System. Most of the early (1913 – 1937) archaeological visits to these sites in the basin were done by Archaeologists for traditional reasons, i.e., to investigate and preserve clues of former cultures in order for us to understand our link to the past. Since the 1950’s the visits appear to be mostly part of the US Corps of Engineers cultural resources management program, e.g., mandatory Investigations which are conducted prior to start of any Corps of Engineers flood control construction. 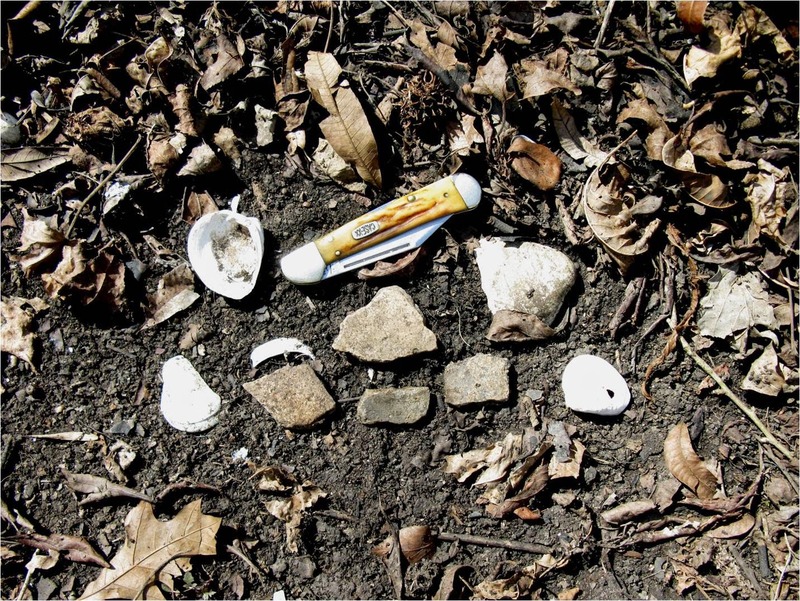 Shell Middens are the most common features at the prehistoric sites in the Atchafalaya Basin. Most middens are composed predominantly of Marsh Clams (rangia cuneata). 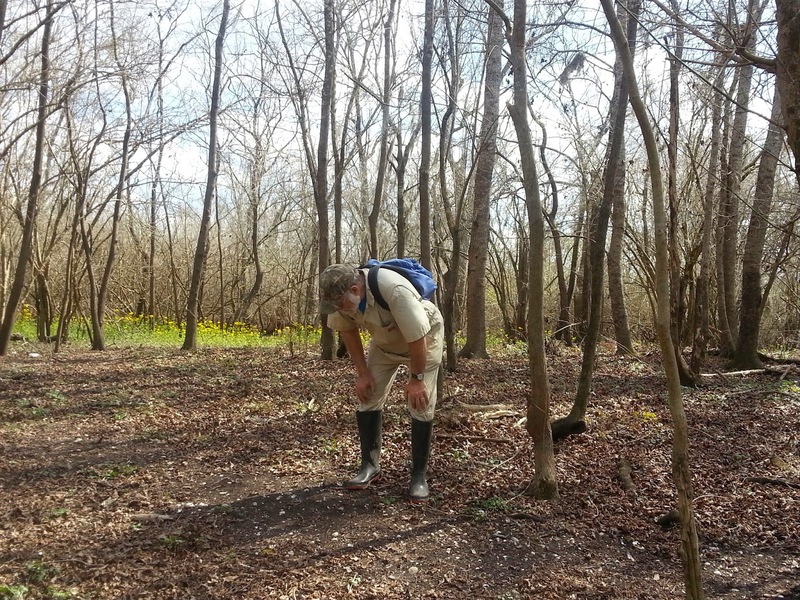 Earth Mounds are not as frequently reported as the shell middens, but that maybe because of a lack of data / documentation versus the actual scarcity of the mounds. I suppose archaeologist think that shell middens got more notice and plain dirt mounds may have been overlooked. The earth mounds seem to occur predominantly in the Northern portion of the Basin, above i.e., above Hwy 190 and shell mounds more in the southern portion. From published Corp of Engineers reports I have identified at least 15 recorded sites in the Bayou Pigeon_/ Grand Lake vector of the floodway. The Bayou Pigeon / Grand Lake vector is relevant because I intend to limit future post about any archaeological sites in the Atchafalaya Basin to that vector. Why? Because it is our area, part of our Bayou Pigeon history. What is the Bayou Pigeon Grand Lake vector? First, what is a Vector? In Geographical context it is a quantity having direction as well as magnitude, especially as determining the position of one point relative to another. This is important in because Vector’s were recognized long ago by the Swampers of the Atchafalaya. How is that? 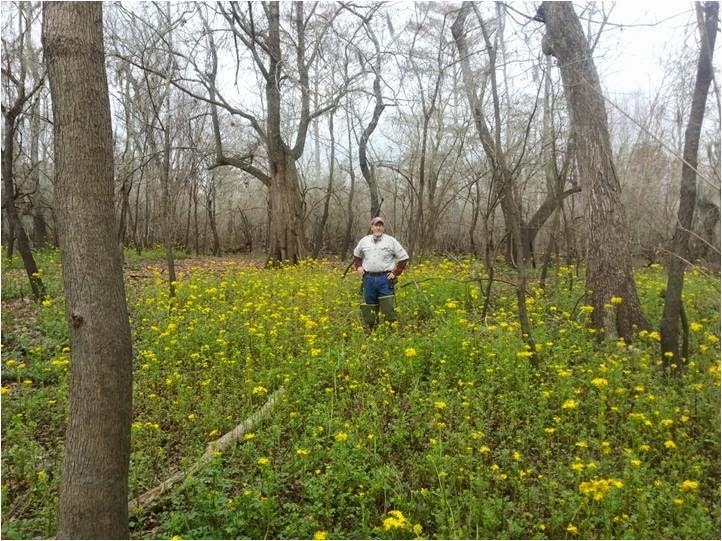 Cajun / Swamp Custom holds that if you hunt or fish a certain area, first, you have the clear-cut ‘folk right’ to defend it from other fishermen / hunters coming in on top of you. 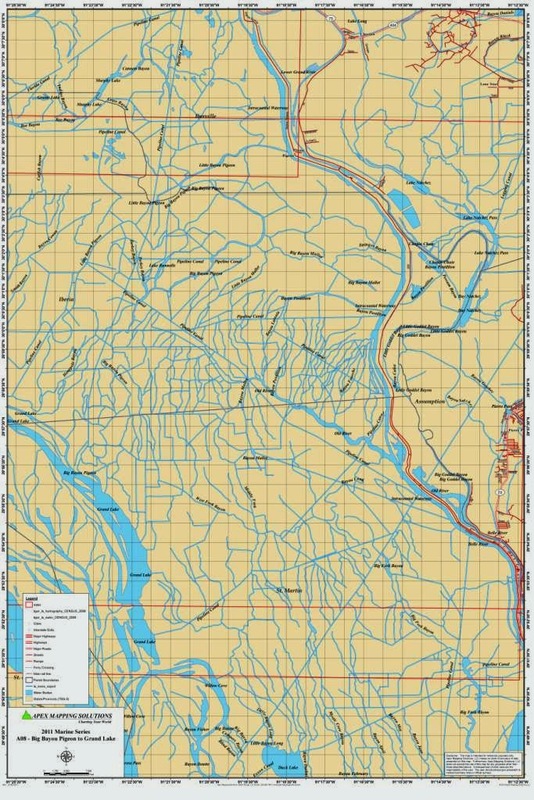 Thus today's mapping vectors in the Atchafalaya have long been recognized as the natural boundaries of the Fishing and Hunting areas of a community/s. Eg. Bayou Pigeon community equal Bayou Pigeon Grand Lake vector.. This holds true throughout the Atchafalaya basin. 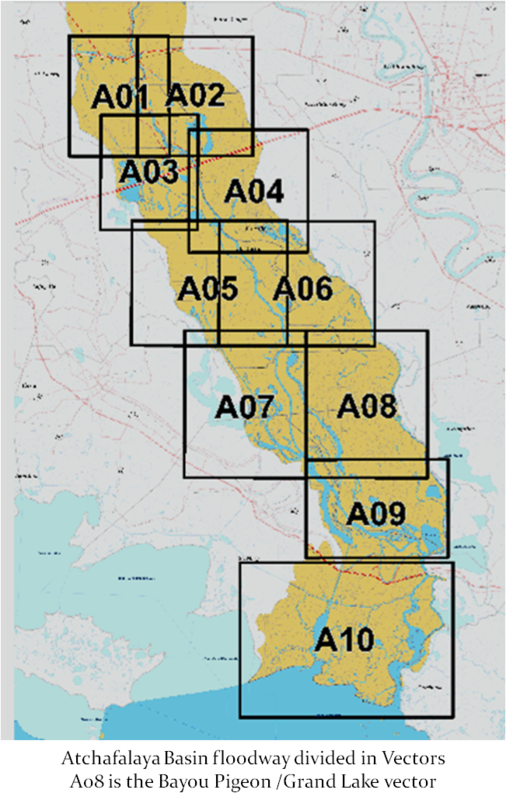 For example, Bayou Sorrel is Vector A06, Butte Larose, Catahoula Henderson is A07, and Belle River /Pierre Part is A09. Listed below are the recorded sites that I have identified in the Bayou Pigeon / Grand Lake vector. The route to the Montange is via a swamp slough. The site is located on Big Bayou Pigeon. The exact location of The Montange is not given so as to protect it from unauthorized artifact seekers and vandals. Please note La Montange is located on private property. It is against State law to remove artifacts from any archaeological site without authorization. Jim Delahoussaye, Anderson Hebert, Lloyd Hebert and I conducted an investigation to the site. The trip resulted in the identification several pieces pottery shards and measurements of the approximate size of the shell midden and identification of shells on the mound. 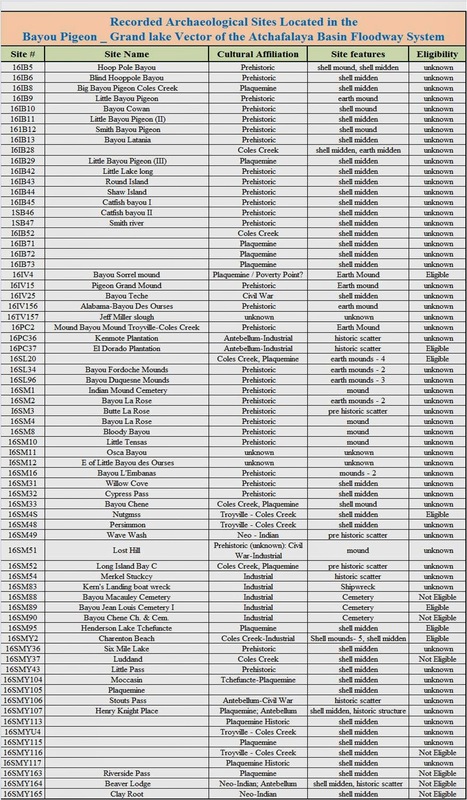 We used the format of the state archaeological records to record the info. Our results / info below, it will be used to update official site records. 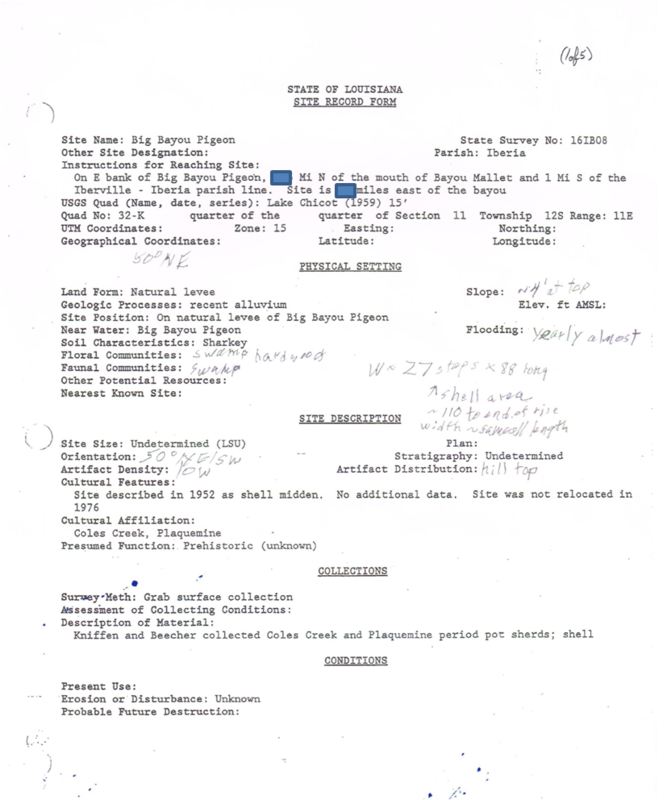 Official State records, document the date the first visit to site 16IB8 was in 1937 by Kniffen and Beecher. Big Bayou Pigeon is considered part of the Bayou Plaquemine Distributary System. 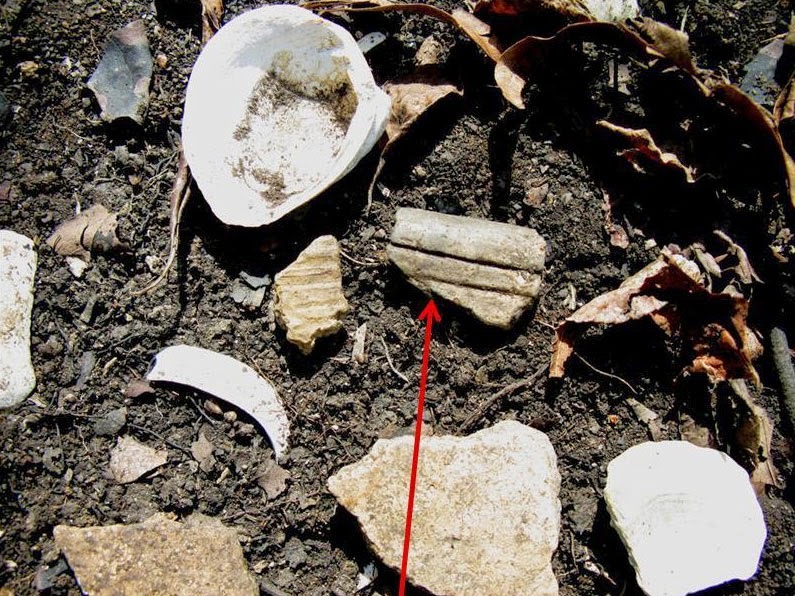 The prehistoric archaeological deposits of the Bayou Plaquemine Distributary System consist mostly of Rangia shell middens in a linear pattern along the natural levees of major waterways. Earth mounds are also located primarily on the natural levees of the distributaries of this system. 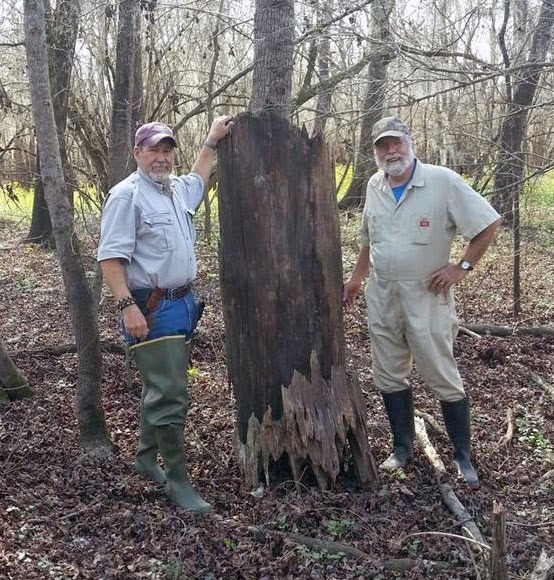 The known archaeological sites associated with the Bayou Plaquemine Distributary System have been greatly impacted by natural processes, i.e., buried and / or partially covered up by sedimentation in the last 100 years. The Montange, because of its location has not been affected as much as other site sin the area that are located on major waterway carrying heavy sedimentation during flood season. Why is that? The Montange may be located on old abandoned distributary between Little Bayou Pigeon and Big Bayou Pigeon.This would explain why it has been somewhat preserved from heavy sedimentation and why it seems to be out of place in the middle of the swamp. Who were the people to use this mound? Site 16IB8 ( La Montage) exhibits pre historic Coles Creek culture and Plaquemines culture. What are Coles Creek and Plaquemines culture? 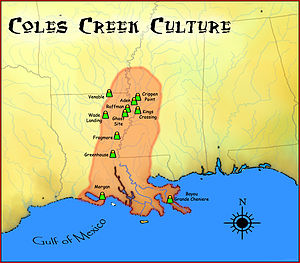 The Coles Creek culture is the name given to sites created by a group of pottery-making Native Americans in Arkansas, Louisiana, Oklahoma and Texas, ca. AD 400 to 1100, ie, the designation prehistoric sites. 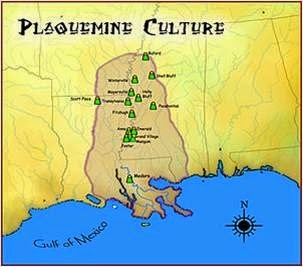 The Plaquemine Culture (1100 to 1730) (Neuman and Servello 1976:19), developed out of Coles Creek in the Lower Mississippi Valley. 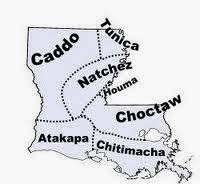 Note; The Chitimacha Indians of Louisiana probably developed out of this culture. Most assemblages from the Atchafalaya Basin are representative of the Plaquemine Culture. 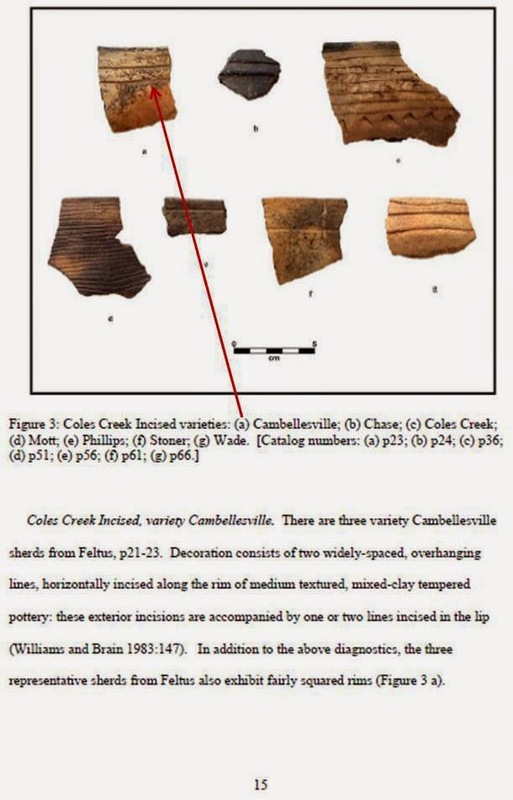 The cultural deposits were first recorded by Kniffen in 1937, are representative of the Coles Creek / Plaquemine period thus the Montange is likely associated with this time period, ie, up to the 1700’s of Louisiana history. The Coles Creek / Plaquemines culture / people collected wild seeds, fruit, roots and other plant foods. They hunted but mostly fished to survive. 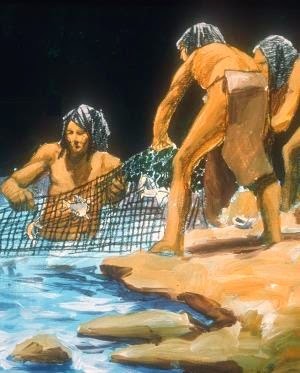 Fish was their primary source of food. At the time of Columbus’ discovery of America, historians estimate the combined strength of the Indians in Plaquemines Culture groups was about 20,000. The probability of discovering any new / newer archelogical sites is greatly lessened today due to the high sediment rate within the basin proper. This is why documenting and preserving the site 16IB8 The Mon_tan is important to history. The existence of the Montange ,Site 16IB, suggest that Bayou Pigeon could have been an east-west water route for the middle of the basin, use by the Chitimacha joining the Grand Lake village sites to villages along Bayou Plaquemine / Grosse Tete area. Pottery shards and shells on the north end of Mon_Tan 16IB8. Shards with lines are more significant than those without markings. Note/fact: There are NO rocks in swamp sediment. The fact that the shards are there and the markings on them are not random are objective evidence that man put them there. Over 1,00 years old!!! The Atchafalaya Basin Floodway has experienced progressive basin wide vertical sedimentation for thousands of years and continues to do so. It is a natural process. However, accelerated sedimentation of caused by man made activities in the last 100 years has greatly affected these pre historic sites, as evidenced by the historic filling of the Lake Chicot/ Grand Lake / Six mile system. In addition the act ivies of man have scattered modern debris across some the sites, because they were high ridge areas conducive to living in the swamp. La Montange is not in immediate danger of being buried by immediate vertical accretion of sediment, but it is obviously on a path for that to happen. So far, the location, e.g., difficulty of access has protected the Montange from human debris scatter. Thus it is important for us to document its existence and preserve it as long as we can. We pray that this blog post will be a little part of doing that. The Louisiana and Arkansas Expeditions of Clarence Bloomfield Moore. Edited and With an Introduction by Richard A. Weinstein, David B. Kelley, and Joe W. Saunders. (Tuscaloosa: University Of Alabama Press, 2004. Pp. Ix, 676. After the first printing of our book we received beau coup feedback about the book, and it was 99.9% positive. Literally, the book brought many people to tears! We sold all 1000 copies in six months. 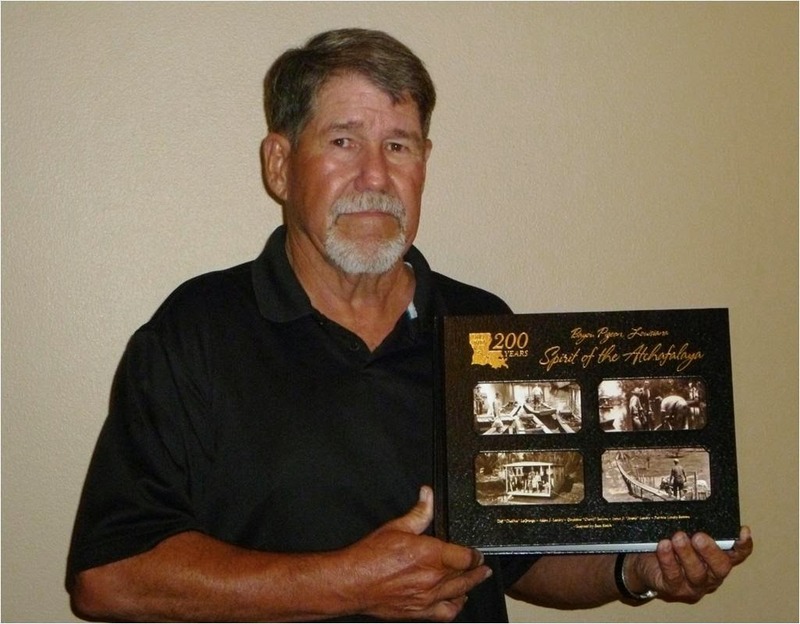 Accolades poured in from around the country, not just Louisiana and / or the Bayou Pigeon Area. Our book won a national book writing award. We received many, many additional requests for the book. We were still awe of the response to the book. When we started the project as authors, we questioned ourselves whether we could sell 250 to 500 books. Wow, we totally underestimated how many really have fond memories of / about Bayou Pigeon! One year after the first printing and long after all the first printing of the books was gone, by the Grace of God, we found a way to do a second printing. Note: When a non-fiction book is first published it is normal that it will generate more research / interest on the topic. Inevitably that will elicit / facilitate reader comments and some error corrections. Sometimes the author/s may find that in the light of the new information any second printing should be revised and / or updated. Thus, the new printing edition will be different from the earlier one and will therefore be a ‘new’ edition. Sometimes Years may pass between the two editions. This is exactly the story behind the current Bayou Pigeon book available on the web site. For the record, a “first edition" per se is not necessarily a more valuable collectible book. The second printing of our book is the book we always wanted to print. There is no way we could have had the where with all to do the Bi Centennial Edition (as we call the second printing), without going through the first printing. Thus the buyers of the Bi Centennial edition get the benefits of a steep learning curve the co authors received after the first printing. In addition to being as big, bold and beautiful as the first printing, this book has a beautiful hard book cover, simulated leather /Alligator Skin. It has Smyth sewn in pages and is bounded to ASTM library standards. For ease of finding relatives a 2000 noun index to look up names, places etc. 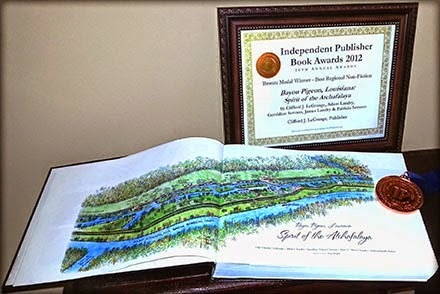 It is truly the book we wanted to make available to all who love Bayou Pigeon. I sincerely pray that all who want one are able to get one. This new book is a handful, but a good handful!